tuberose | Scent Addicts - Perfume reviews, fragrance news, & more! 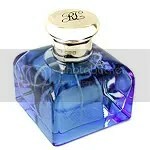 NOTES (as listed on fragrancenet.com): tuberose, magnolia, sandalwood, vanilla infused musk, pear, and jasmine. I was curious to smell Curious by Britney Spears again (excuse the terrible pun); I had sampled her debut perfume when it first came out, and ruled it out right away. However, I saw a roll-on scent stick when shopping for perfumes today that was ultra-cheap, and couldn’t resist.